Office Printer Questions to Answer Before Buying | Duplicating Systems Inc.
Office printers fall into two large categories, black & white or color printers. If you have a professional need for color printing, then this should be an easy choice. 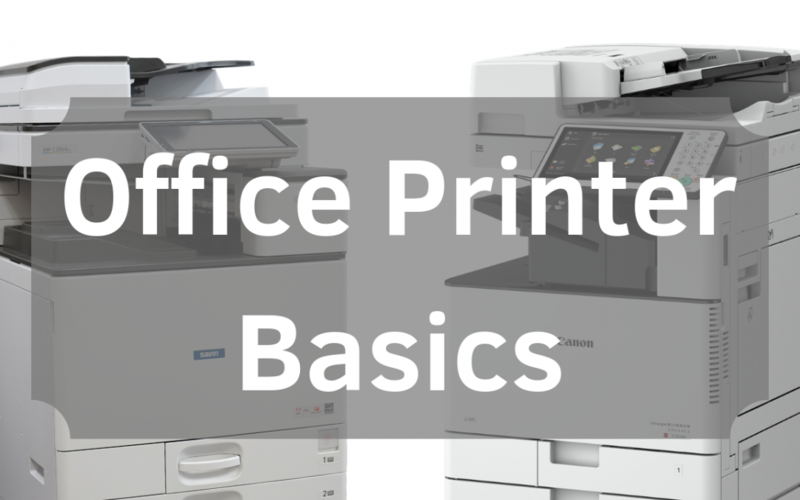 If you aren’t sure you need a color printer, discuss your needs with an office printer company and they will be able to give you an accurate list of pros and cons, tailored to you. Volume refers to how many sheets of paper you print out, typically in a month. If you print out at least a 1000 sheets a month, and your using a home printer to do this work, then getting an office printer may be more beneficial to you. Home printers are not designed to handle such large volumes on a consistent basis, so expect to see greater tear & wear at a faster rate. Office printers can not only handle such large volumes, but may also do it at a cheaper rate than your current home printer. Office printers come with a specification called “Pages Per Minute” or PPM. Most machines have multiple PPM ratings that describe various specifications such as how fast your printer can output prints or scan documents. Generally, the higher the PPM, the more expensive the machine. Having a higher PPM machine is good not only because it’s faster and more convenient, but because it will handle the requests of more users better. Office printers can come with optional equipment called “Finishers” that can automatically staple, hole punch or book make for you. If you staple, hole punch, or book make on a consistent basis, then a finisher will make your workload easier to handle. Finishers will be able to output professional-grade documents much faster than stapling or folding by hand, saving you time and precision.